Resource Manager-DB (RMDB) is an affordable, flexible and quick-to-implement approach to resolve your production planning, scheduling and tracking challenges. Designed by customers just like you, Resource Manager-DB features a single, simple menu (dashboard) requiring minimal transactions to keep the system accurate. RMDB’s unique, customer driven architecture allows you to start very simply, focusing on one area at a time, enabling you to provide minimal information in order to recognize immediate benefits. If you find you are still using manual white boards and/or Excel for trying to manage your production scheduling, you will find RMDB a refreshing option. RMDB’s intuitive and flexible structure and data integration, enables US to offer a no-risk, pre-sales, implementation walk-through to demonstrate exactly how the system can benefit your operations. 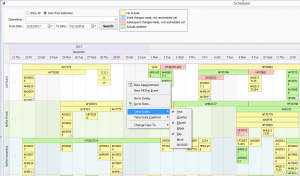 Graphical interface provides easy drag and drop adjustments. 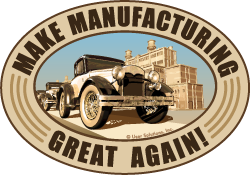 Since 1991, our mission has been to help manufacturers solve manufacturing and operations management problems with intuitive and easy-to-implement tools. The unique architecture facilitates custom configuration, in hours or days, vs. typical custom programming taking weeks or months. By driving our product development based on your requests, combined with the rapid custom configuration abilities of RMDB, the result is a solution that fits your operation like a glove, quickly and affordably. Featuring easy integration with Excel, ERP, accounting, custom or other legacy systems, RMDB will provide you unsurpassed improvements in production planning and scheduling and enterprise-wide communication. From job shops, to small-medium manufacturers, to multi-nationals, finally there is an affordable and adaptable production planning and scheduling solution that fits like a glove. Resource Manager-DB guarantees the benefits and productivity of high-end systems yet within a timely and cost effective approach. Resource Manager-DB is the only system that is designed to adapt to your specific operational needs and nuances. RMDB utilizes your existing data resulting in rapid implementation and acceptance success. Simple, single menu makes it a snap to run RMDB. Virtually maintenance free. Resource Manager-DB lets you easily work with your current data. Do you have a product list somewhere? How about bills-of-material and/or routings? Sales orders, inventory levels, even work-in-process data. Import directly into Resource Manager-DB and let RMDB automatically fill in the details. You can even maintain this data in other systems, such as ERP, then refresh on demand. Starting from scratch? Resource Manager-DB features a clean and simple way to create master item lists and dynamically create bills-of-resources. 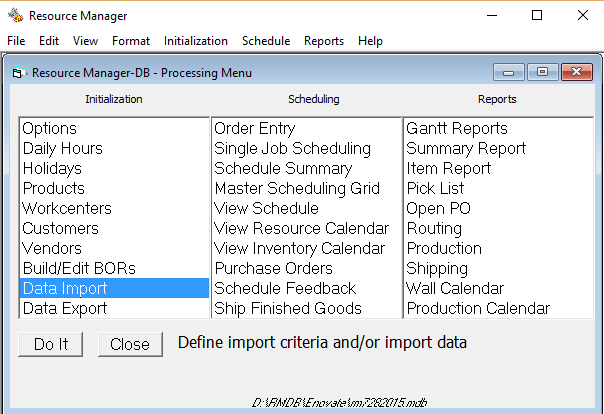 Resource Manager-DB is designed to work seamlessly with Excel. IMPORTANT TAKEAWAY #1: This provides great flexibility in rapid implementation options as it allows you to load, edit, reload entire data sets with the click of a button. 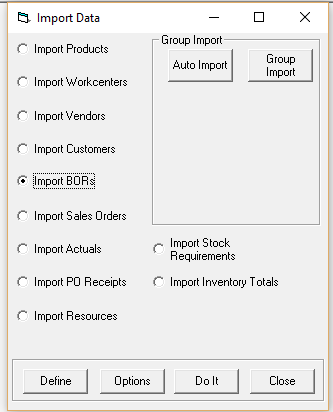 Not only for importing data, Resource Manager-DB also provides easy Excel output for reporting. IMPORTANT TAKEAWAY #2: These output reports can be circulated, then imported right back into Resource Manager-DB to update the system. Below is such an example: the user gets a custom report, all in familiar Excel, uses it to easily track production and it’s imported back into RMDB, to update the system. Keep in mind, these reports run on any version of Excel anywhere — Cloud, tablet, laptop, network, desktop, smart phone, on-site, off-site and enterprise wide. Where do you need to go? Which orders need to be shipped when? Resource Manager-DB features a simple, single menu (dashboard) to control your whole operation. Enter (or import from outside system), the quantities, and due dates. Optionally add detailed customer and/or order information. Initially enter (or import from outside system) your business rules (shop calendar, customer priority, restriction nuances, etc.). You now have everything at your fingertips to generate schedule and start cruising. Resource Manager-DB delivers quick and easy top level control for recognizing the immediate benefits of better production planning and scheduling. That’s it! You are in the driver’s seat and cruise control is on. Enjoy the view. Check the production calendar for a quick view of finite capacity loading on work centers with an option for time-phased inventory levels. Complete job details are one click away. Bottlenecks are flagged. Run your favorite report to view schedule data the way you like it. Need to correct a schedule? 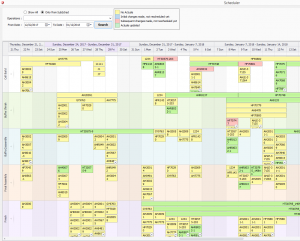 Easily adjust production planning calendar, drag and drop your available resources, and click to reschedule. For effortless cruise control of your business, simply make the top level changes and regenerate the master production schedule with a click of the mouse. Change delivery due dates, split up quantities, combine forward and reverse scheduling; all the options for a quick adjustment are included in single dashboard. Resource Manager-DB will allow you to run your operation the way you want, with screens and reports designed to provide maximum information with minimal effort. 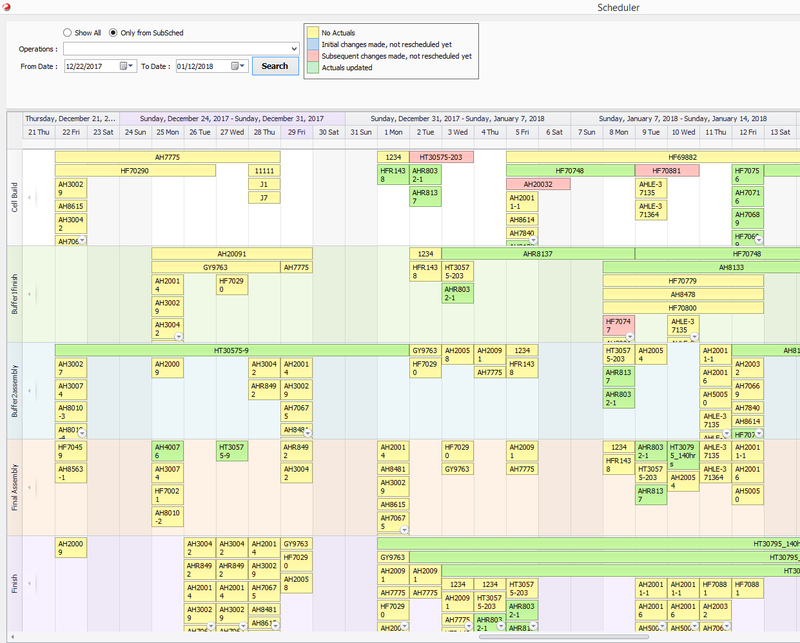 Here (above) we see an example of a production schedule by workcenter, containing all orders, setup times, drag and drop to adjust, even downtime tracking and reporting — all on one screen. 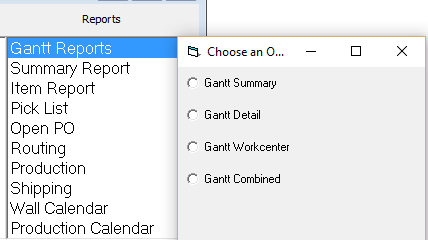 Gantt-Reports by Job, Workcenter, Detail, and more. With quick, powerful, and intuitive reporting, Resource Manager-DB stands above the crowd in its ability to present the important data in an easy and meaningful way. 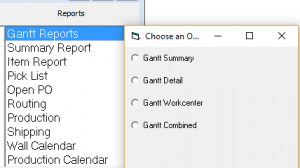 In addition to the robust reports that are included with Resource Manager-DB, you can easily configure canned or custom reports that become a permanent part your system. In addition, EDGE provides a graphical view that can be read only mode, or with Admin rights to adjust the schedule without the need to run RMDB. A great top-level view of all activity with details only a click away. 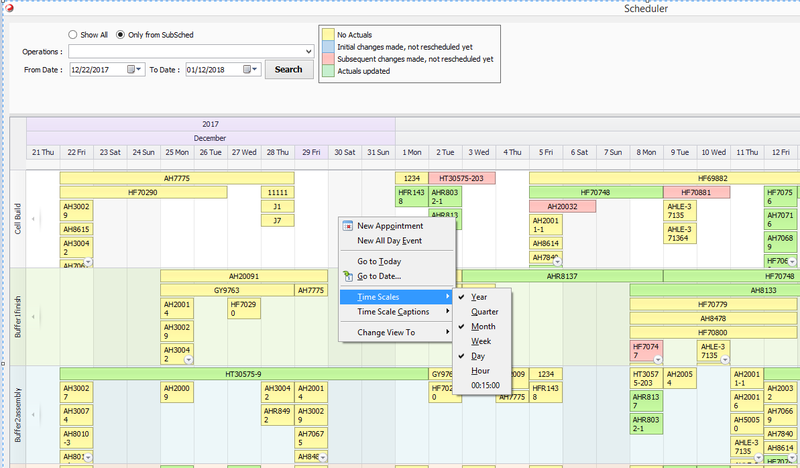 Instantly check the due dates of all jobs in schedule, drill down to find bottlenecks, adjust capacity and schedule to meet critical dates. The report will tell you what you need to buy or make, how much, and when – all consolidated on a single sheet. 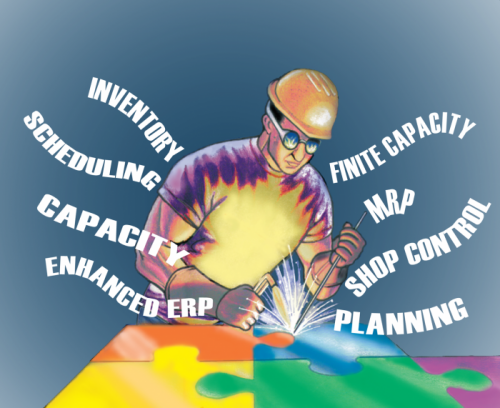 An instant, top level MRP Report for all products and workcenter loading. View over any time horizon – by day, week, or month. This sheet summarizes all requirements per part number. Ideal for WorkCenter Loading, the system lists each job, when to start, when complete, and how much is required. View and print the schedule in familiar “wall calendar” format. Instant, real-time views of all critical workcenter activity by: daily loading, backlog, % utilization, hours available and bottlenecks. Allows for quick overtime scheduling and other detailed adjustments for any workcenter on any day. Also features a daily workcenter “to-do” list. Intuitive reports for visual bill-or-resource verification, process flow and schedule feedback. Perfect for traveler or work order printout. 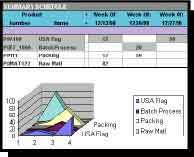 Automatically reconciles inventory and capacity for a job and lists sequence of operations and products to fulfill order on time. Includes space for check off and actual feedback as well as job costing and variance reporting. Resource Manager-DB excels with its integrated purchasing and receiving module. Designed to meet meet the tough requirements for Lean Manufacturing, you won’t find any muda here. With a single click, the user can generate purchase orders per Kanban and\or standard schedule requirements. The system tracks each received quantity, open or closed status, and adjusts inventory – simply and automatically. Automatically e-mail RFQs and POs to vendors. User Solutions offers a variety of direct services to meet any special needs, including: automatic data integration with other systems, customized reports, on site training and configuration and much more. In addition, User Solutions has partnered with a number of complementary product and service companies to provide complete solutions focused on unique needs.